A simple muffin is a great treat or an excellent breakfast. 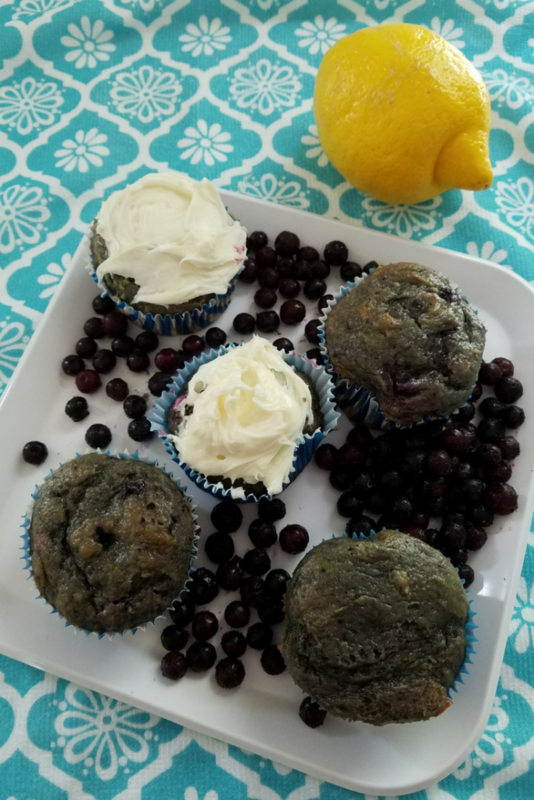 This Skinny Blueberry Lemon Muffin is a favorite option that I can have ready in less than 20 minutes. that means I can make in the morning for a fast breakfast, or a batch in the afternoon to prep ahead for meals and snacks later in the week. Not only am I ultimately lazy at times, but I also want something that is fast. 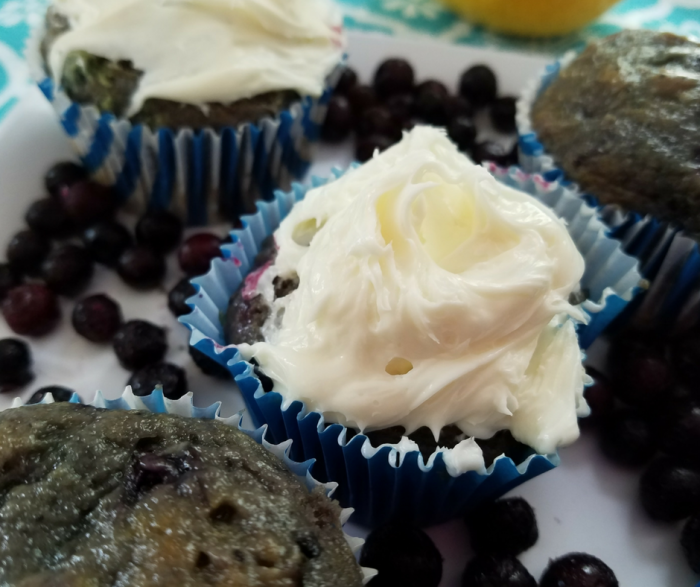 That led me to this skinny blueberry lemon muffin recipe. Two ingredients and 20 minutes and I have muffins for breakfasts, snacks, or a special dessert. I tried various options for making these from scratch, and they all turned out great, but in a pinch, this is my go-to recipe! Spoon into 24 lined muffin tins. 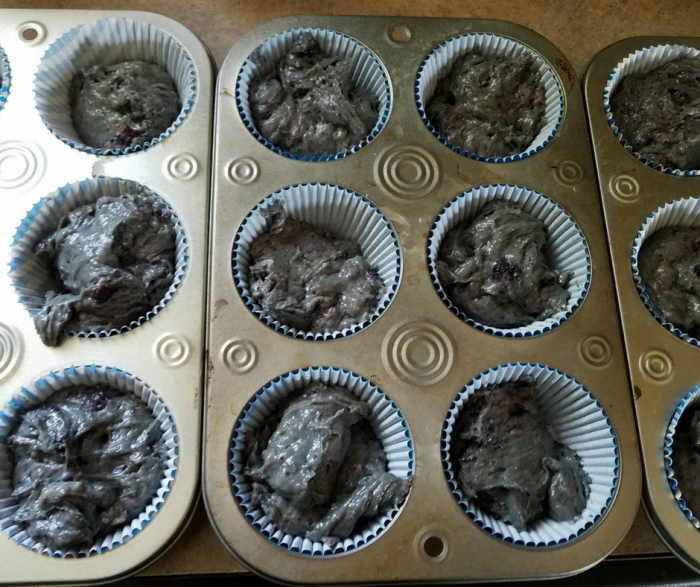 May use silicone muffin pan or traditional muffin tin with paper liners. 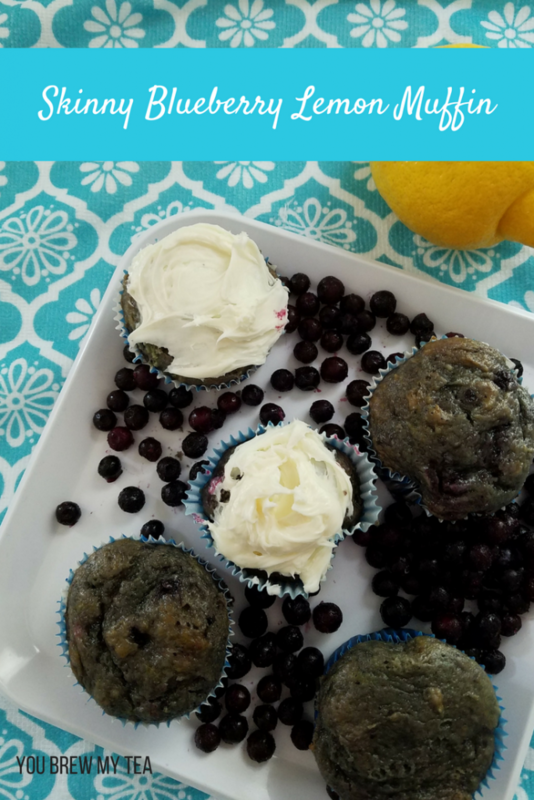 Making skinny blueberry lemon muffins is something anyone can do and it will be a great addition to your routine. While they come in at 6 SmartPoints each, they are super satisfying. Alongside some zero point sausage and fruit, they make a great breakfast idea that fits into the Weight Watchers plan pretty well. 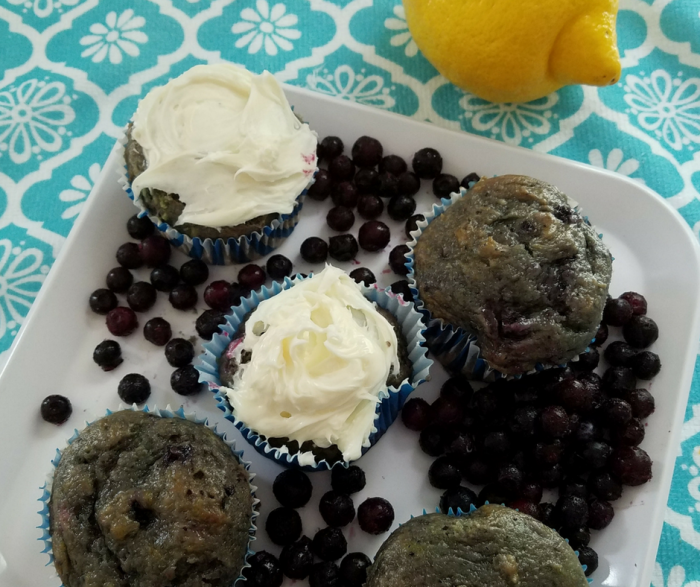 If you can find sugar-free lemon cake mix and no sugar added blueberry pie filling – you’ll have an even lower point muffin! These are super moist and do best if stored in the refrigerator until ready to eat. You can reheat easily in the microwave for 15-20 seconds, or simply eat them cold. We’ve often topped with a bit of fat-free whipped topping or some whipped cream cheese icing, but that adds a point per muffin. An airtight container or wrapped well and placed in a freezer bag will keep them well for up to two months in the freezer or one week in the refrigerator.